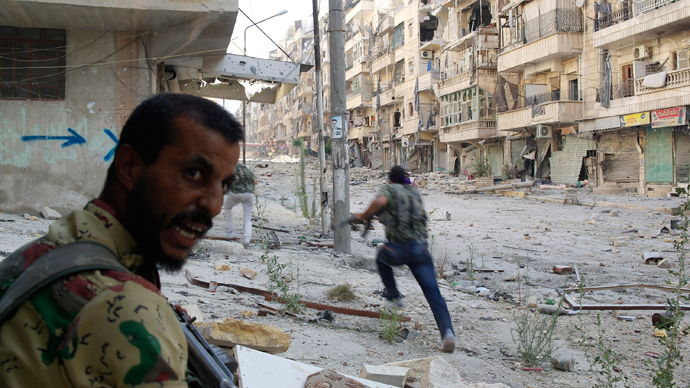 A senior figure of the rebel Free Syrian Army has been executed by Al-Qaeda-linked militants during negotiations. Multiplying conflicts between moderate and extremist rebels confronting President Assad might lead to an opposition split-up. Supreme Military Council member Kamal Hamami, also known for his call-sign Abu Bassel al-Ladkani, was meeting with members of the Islamic State of Iraq and the Levant in the Syrian port city of Latakia when he was murdered, FSA spokesman Qassem Saadeddine informed Reuters. The Islamic State of Iraq group is considered to be an umbrella organization for a long list of insurgency groups, including members linked to Al-Qaeda, the former Mujahideen Shura Council, and various other groups that wish to establish a unified Islamic theocracy within the majority Sunni regions of Iraq. The leader of the Islamic State of Iraq, Abu Bakr al-Baghdadi, arrived to northern Syria to take control over Al-Qaeda operations in the country. Al-Baghdadi is seen by the Syrian opposition front as being more interested in imposing radical Islam than overthrowing the current government, Reuters reported. The Islamist Al-Nusra Front, which was officially declared a “terrorist group” by the US in May, is considered to be the most effective opposition group battling Assad. The group merged with the Islamic State of Iraq in May. Disunited Syrian opposition consists of motley groups, including those incorporating radical Islamists from abroad affiliated with Al-Qaeda. Some foreign militants fighting in Syria have real battle experience confronting American troops in Iraq. The interests of radical Islamists effectively go against the plans of the moderate rebels, who see Assad as the major obstacle towards making Syria a better place and are fighting the government army in order to topple the ruler. 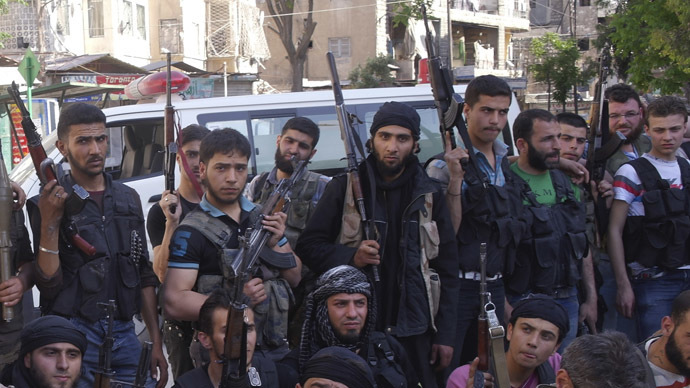 Experienced Islamist militants are flocking to Syria for a more global project: creation of pan-Arabic Islamic Caliphate, Al-Qaeda’s official objective. Their attitude towards yesterday civilian ordinary rebels is contemptuous, mostly because it is the professional fighters who make up the effective nucleus of the rebel forces. The open killing of a senior FSA member could signal a serious conflict emerging between radical Islamists and more moderate members of the opposition, who suspect radicals of attempting to highjack the Syrian opposition’s cause. This is not the first time that Al-Qaeda-linked groups are blamed for assassinating moderate rebel commanders. "Nusra is now two Nusras. One that is pursuing Al-Qaeda's agenda of a greater Islamic nation, and another that is Syrian with a national agenda to help us fight Assad," a senior rebel commander with close ties to the Al-Nusra Front told Reuters. "It is disintegrating from within," he added. 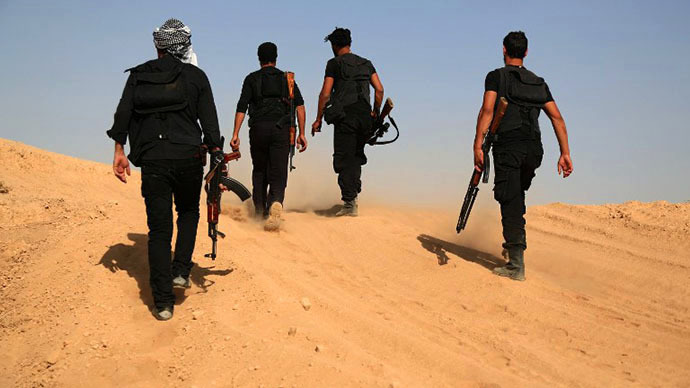 Rivalries among the now fractured Syrian opposition look to be increasing, and are likely behind several assassinations of commanders within the moderate rebel groups. "We continue to be concerned about the influence of extremist groups, including Al-Qaeda in Iraq. This is why we have been coordinating and discussing with partners the need to continue to strengthen the moderate opposition and channel any assistance through the moderate opposition, including the Supreme Military Council," a US official said in May. Al-Qaeda’s Iraq arm is thought to number in the thousands. The group’s foreign fighters seem to be focused not on toppling Assad but rather on the anti-Western agenda of Al-Qaeda leader Ayman al-Zawahri. 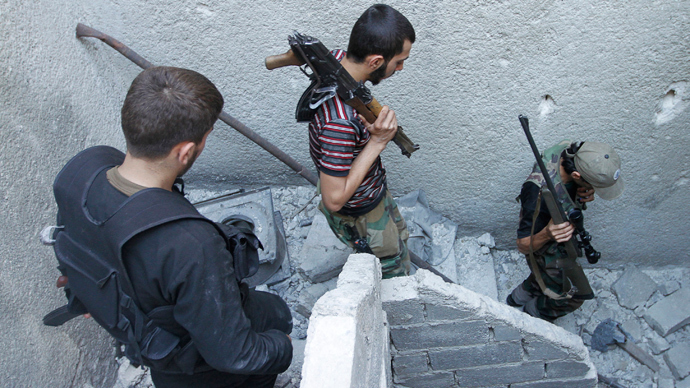 The killing of another moderate figure of the FSA’s governing council is almost certain to further complicate efforts to arm the opposition - a policy shift which was announced by President Obama in June. Efforts to increase aid - specifically to provide arms to Syrian rebels - seemed to hit an indefinite delay in Congress this week. Members of both the House and Senate intelligence committees enacted stringent restrictions on funding, which appeared to prevent the White House from delivering arms shipments to the opposition, sources told congressional newspaper The Hill. The newspaper added that lawmakers moved to block the military aid because they feared that weapons would fall into the hands of terrorist groups. “Whatever we do, we have to make sure we do it right,” Rep. Dutch Ruppersberger, the ranking member of the House Intelligence Committee, said on Tuesday. “If we are going to arm, we have to make sure we have control of what arms are out there and how people are trained to use those arms so they don’t fall into the hands of our enemy Al-Qaeda,” added Ruppersberger. 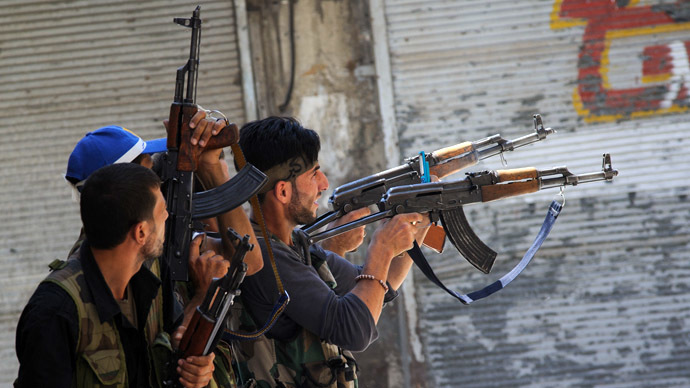 Adding to concerns that arms could end up becoming tools for jihadist elements of the Syrian opposition, Iran is thought to be training Hezbollah fighters within Syria as a counterweight to Sunni-backed Al-Qaeda groups. A car bomb exploded in a Hezbollah-controlled region of Beirut on Tuesday, adding to mounting evidence that Syria’s civil war - now comprising of Al-Qaeda insurgent elements - is spilling across the border into Lebanon. The evidence has triggered fears of a wider regional conflict. Hezbollah’s role in Syria’s ongoing conflict became clear in May, when it led a 17-day assault against the rebel-held town of Qusair – located just five miles north of Lebanon. Since then, Hezbollah forces have been deployed alongside Syrian government forces in Damascus and Homs.